First Christie wanted to blame the teachers, a familiar refrain from this Governor. But the teachers - a stakeholder with the state in bringing education money to New Jersey - signed off on the correct version, one that would have moved NJ from 11th place with no funding into the Top 10 and $400 million for New Jersey Schools. Christie personally decided to scrap the agreement and didn't even ask the teachers to sign on to his own version which was submitted. 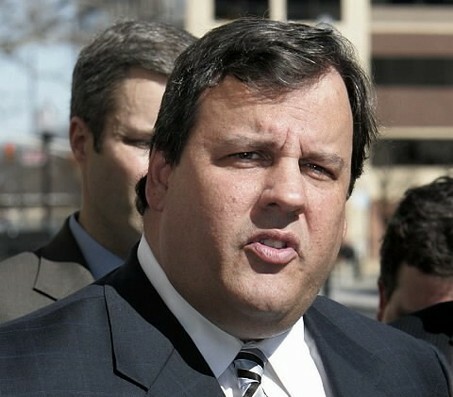 In the process, Christie threw his Education Commissioner under the bus saying he knew better. Next Christie tried to blame the President saying the Obama administration was being unfair or politically motivated because Christie's administration pointed out the error. But the Obama administration, unlike the Christie administration, is open and transparent and actually taped the meeting. The video catches Christie in his bold face lie and shows administration representatives were asked not once, but twice and both times they did not correct the application. Then Christie tried to say it was a clerical error made by one person, so they would just hire another. But the video also makes clear Christie's representatives were woefully unprepared and had no response when the issue was raised. When is Christie going to take some responsibility? It's too late to fix his incompetence, which cost the state of New Jersey and its people $400 million that was rightfully theirs. But it's not too late to admit that his ego-driven desire to pump up his national Republican credentials did great harm to our state's students and taxpayers. Hearings in New Jersey's state Assembly and Senate will be held and we will get to the bottom of this. The investigation will help ensure that this can never happen again, and decide whether NJ needs an independent committee to oversee all future federal applications because the Christie administration is unable to do their job without failing. New Jersey cannot afford to lose another $400 million because Christie and his appointees are unprepared for their job.